This has been a very busy month at Autistry! 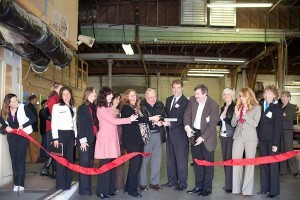 On March 1 we had our official ribbon cutting at 37 Duffy Place. It was a lovely celebration with friends, colleagues and the Autistry Board of Directors. With the help of Mayor Al Boro and Councilman Damon Connolly we cut the red ribbon and became part of the San Rafael business community. We were thrilled to have Nagam Abdaljabbar and Raminder Somal of Wells Fargo Bank appear bearing a large donation – thank you! We were also very pleased by the support of the ASD service community: the Marin Autism Collaborative, United Cerebral Palsey of the North Bay, Cypress School, Lifehouse, Opportunity for Independence, Dominican University, The Ryder Foundation and many others. We continued the celebration with an Autistry fundraiser and dance party on Saturday, March 5th. 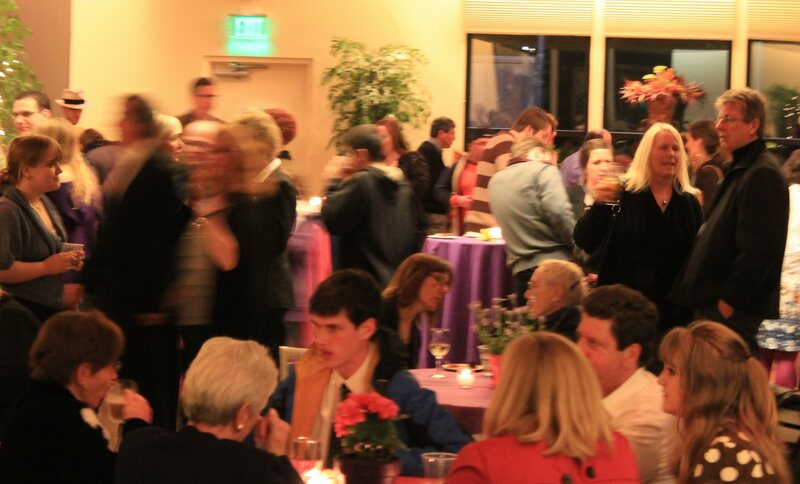 Over 150 joined us to celebrate and to share the creative achievements of our Autistry students. We had fabulous projects on display – dioramas, films, paintings, books! With only days before the big event we were told that the Studio was not appropriate for the size of our guest list. Diane Doodha and the Marin Art and Garden Center came to our rescue donating the beautiful Livermore Room for the evening. And a huge thank you to the event committee: Michael Breard, Tin Fan, Linda Xiques, Si Si Semple, LynnEl Powell, Liz McDonough and Kitty Edwinson. In just four days they transformed an informal warehouse party into an elegant garden gala. It was an absolutely magical evening with families coming together to share stories and to simply enjoy being together. We all realized that we need to have more community events so we are thinking of a summer BBQ (hopefully with no last minute venue changes!). 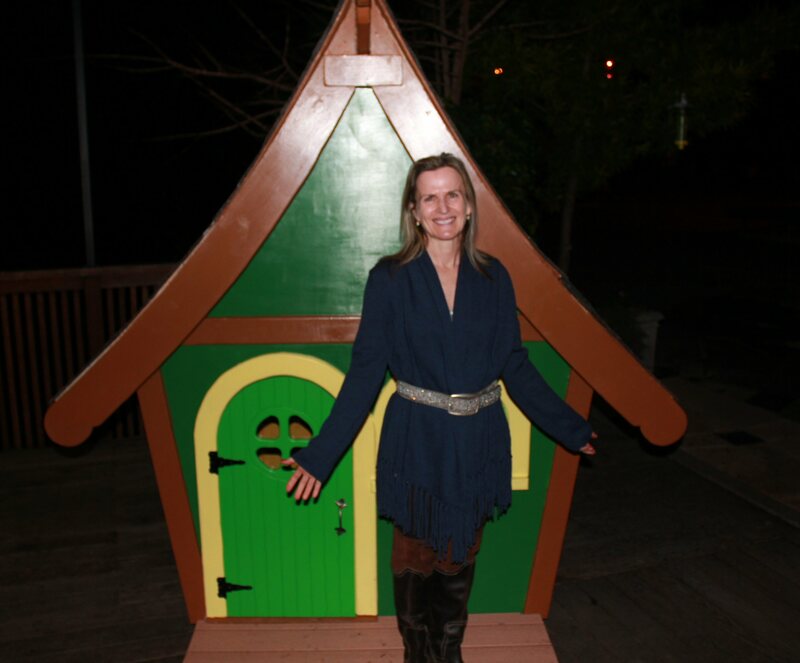 The Storybook Playhouse was purchased by poet/author/mother Becky Foust who has donated it to one of Autistry’s biggest fans, Dr. Pamela Wolfberg. Pamela,the founder of Integrated Play Groups and the Mosaic Program has been working with Gratton Elementary School in San Francisco to design a playground that is ASD friendly. 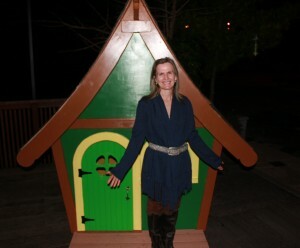 The Playhouse will be a wonderful addition to their program. Now that we have all recovered from our week of partying the Autistry workshops are back in full swing. We now have over 30 students in 8 workshops. We continue to interview new students and we will open more workshops soon.